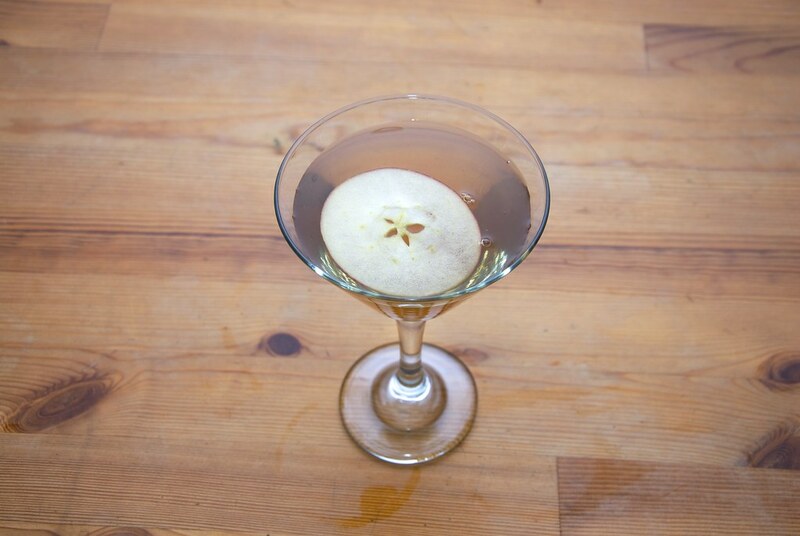 The first think that comes to mind when we put together the words cocktail and apple is the Green Apple Martini. That is an abomination of the sissified neon cocktail era that haunted the 70s, 80s and half of the 90s. The mixture of a sugar mixture, with artificial color artificial flavor and artificial aroma with vodka in a glass is as close to a cocktail as close is a skateboard to a Lamborghini; they both have four wheels. It is not a cocktail, it is not a worthy drink and you should forget all about it! 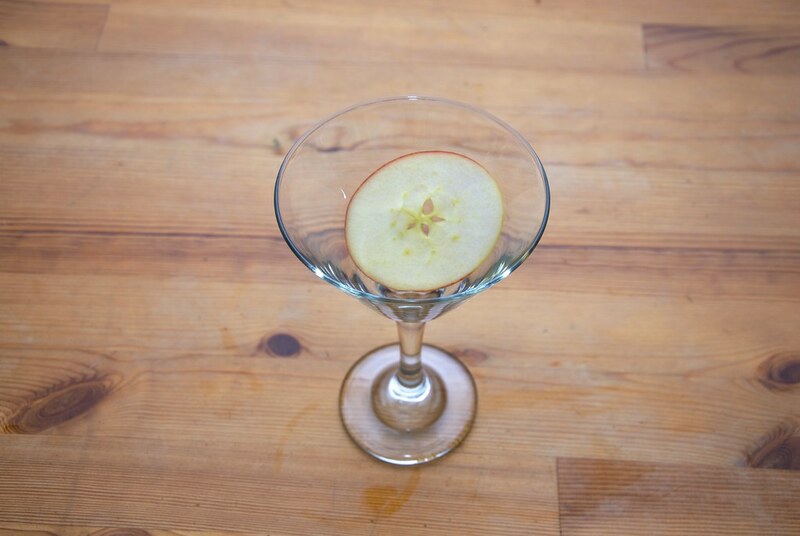 We need to make a cocktail that will be true to the elegant flavor of the apple. 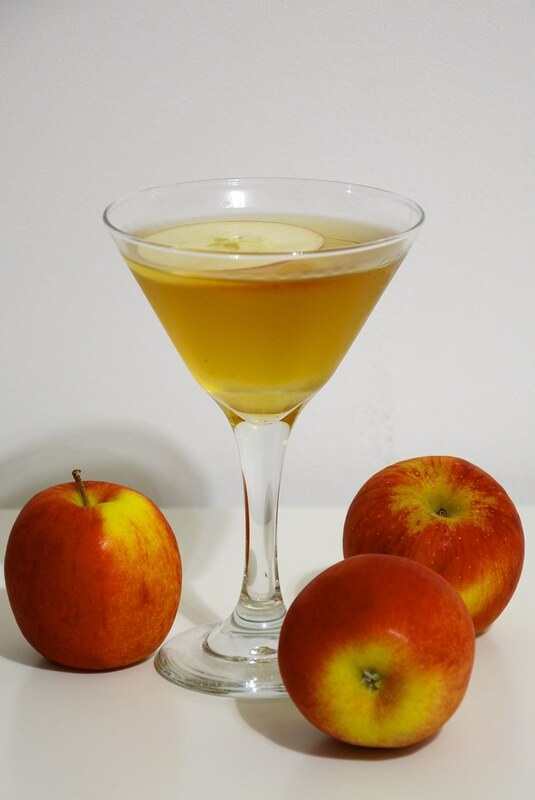 Cider or apple juice is another way to go, and the mix of cider with rum or bourbon is a killer combination, but I was thinking something more deep, more authentic. What is more authentic than that? Well let’s take a trip to the colonial America. Mr. John Chapman, known widely as Johnny Appleseed, was a pioneer nurseryman who introduced apple trees to large parts of Pennsylvania, Ohio, Indiana, and Illinois. He is an American legend and icon due to his contribution to the spread of apple, a fruit that changed the economy of all the northern states. 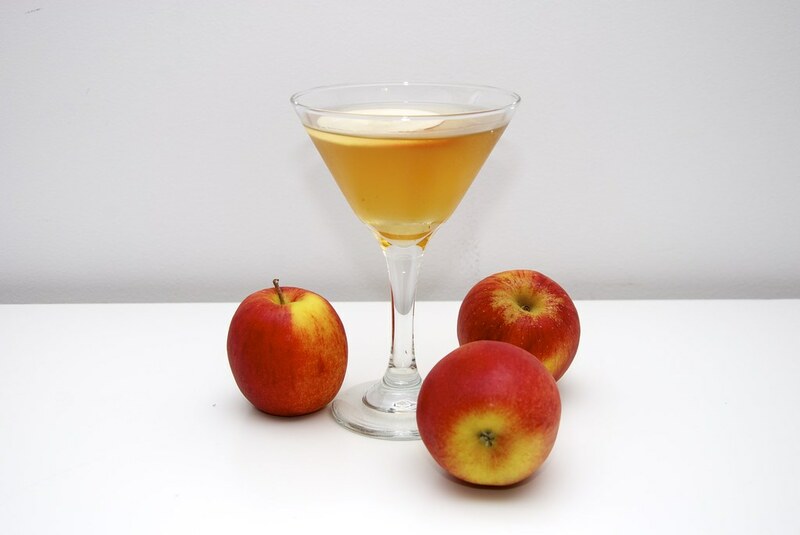 One of the most popular uses of apples was the juicing and the creation of a juice that when left to ferment was creating what is known as cider or hard ciders nowadays. 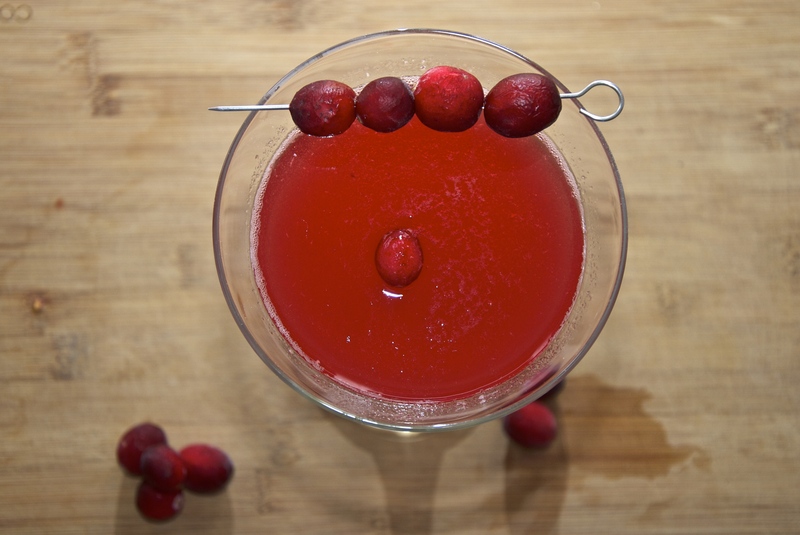 Tangy, sweet, and with a little alcohol. One day some settles left their cider in the barrel in the cold north state winter. The harsh weather froze the cider, but not all of it. It froze the water in the cider. The alcohol cannot freeze at that temperature, so the final product was a dense alcoholic solution and millions of ice flakes. 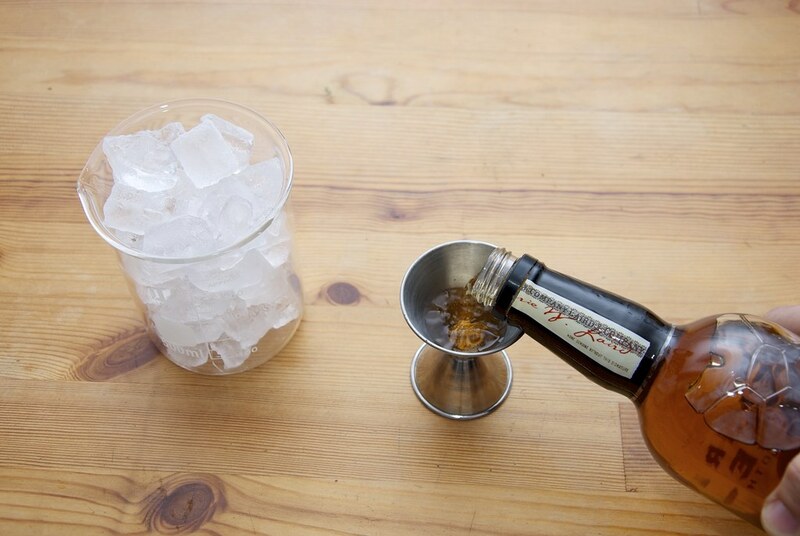 With a simple strainer you can separate the ice and you get a highly alcoholic beverages like bourbon and cognac. 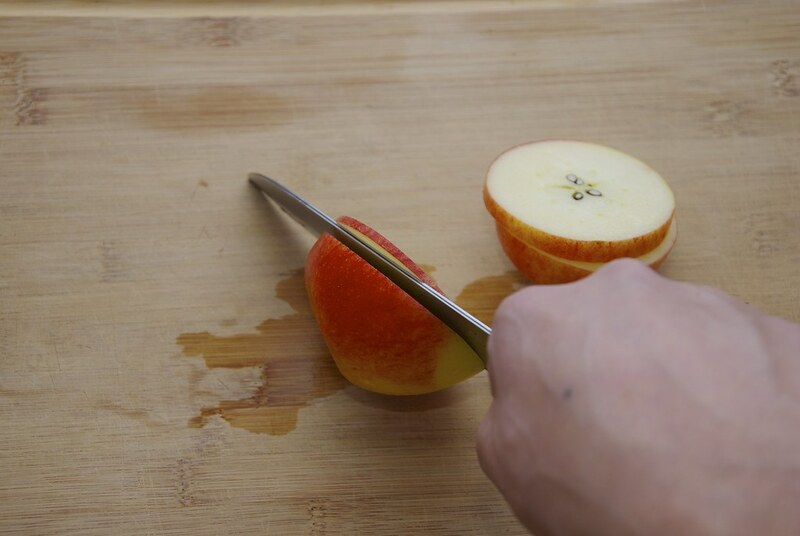 One of the best features of the Applejack stems from the process that is made for, that preserves the flavor and the sweetness of the apple. 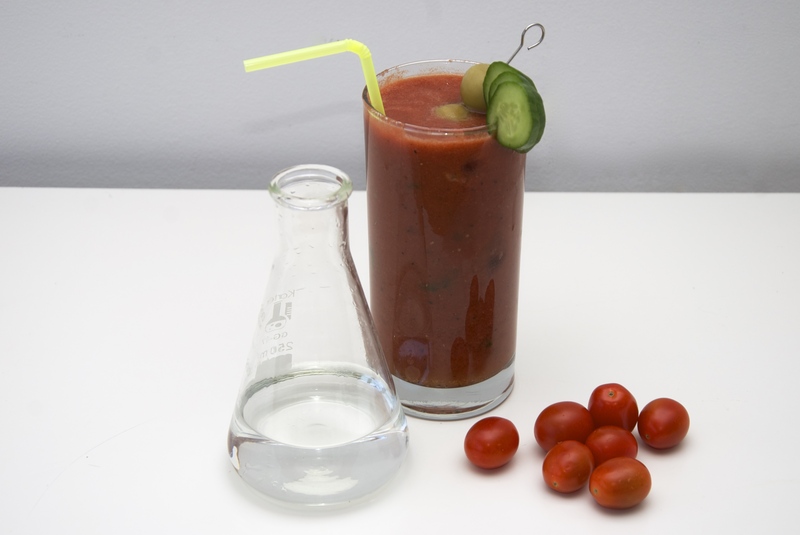 The method however, fails to remove the methanol the alcohol that is responsible for hangover, and at large concentration it can lead to blindness or even death. So nowadays it is made with distillation a process that can separate the various alcohol getting rid those that are not that good for you. The flavor and the sweetness is still preserved, but the bad spirits are gone. When the South had the bourbon the North had the Applejack. So to recap we celebrate, apples and their spirit Applejack. To make things even better let’s add one more element: the quintessential American desert, the apple pie. 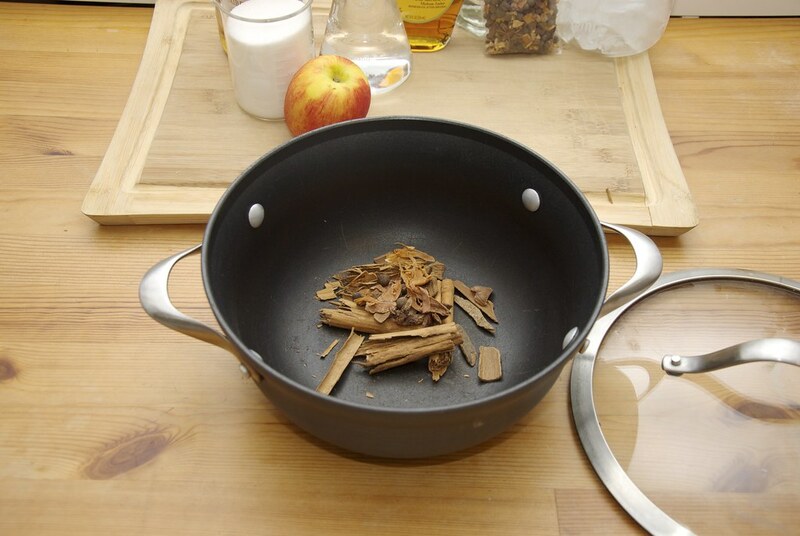 The body of that pie is the apples, the spine is the crust and the spirit are the spice mixture of cinnamon, allspice and clove. 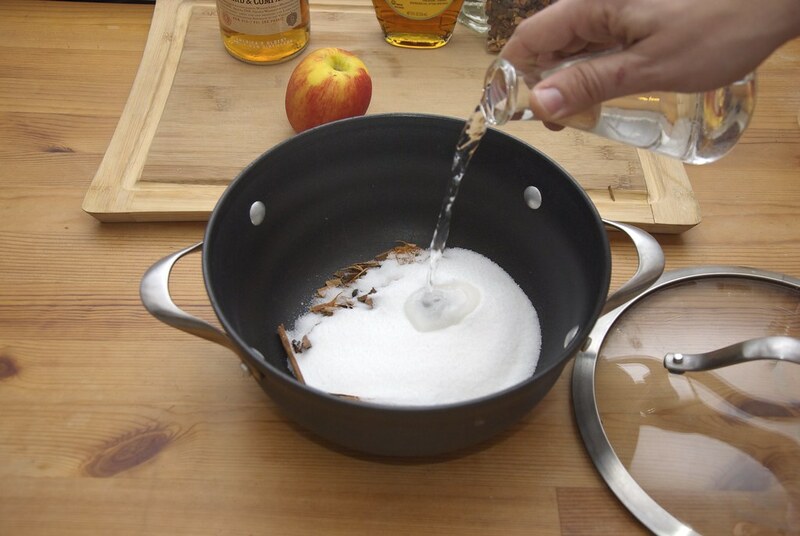 And thus the apple pie cocktail was born. 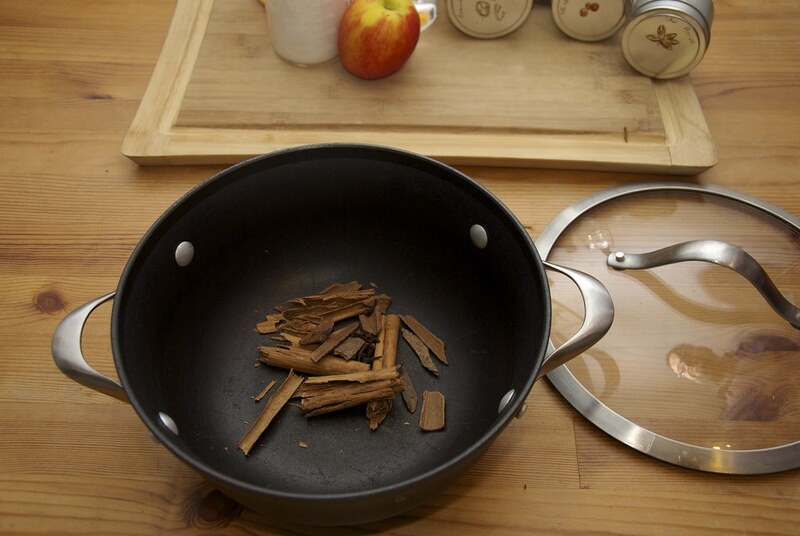 The tactic is simple: make a syrup to carry the flavor of the spices and mix it with the Applejack that has the clean, crisp flavor of apple. Although the spice mixture has a lot more than the usual spices (cinnamon, clove, allspice), you can omit them if you like. 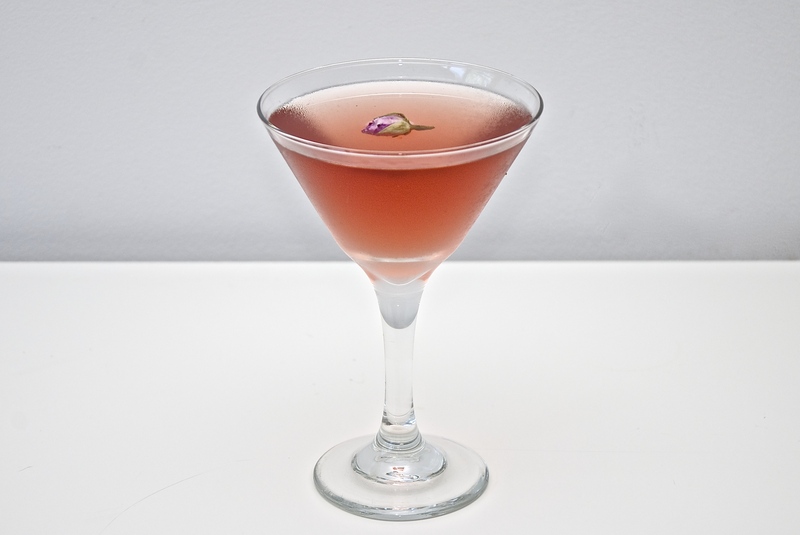 They are however, responsible for a deep flavor that will change the character of the cocktail and make it more elegant and complex. 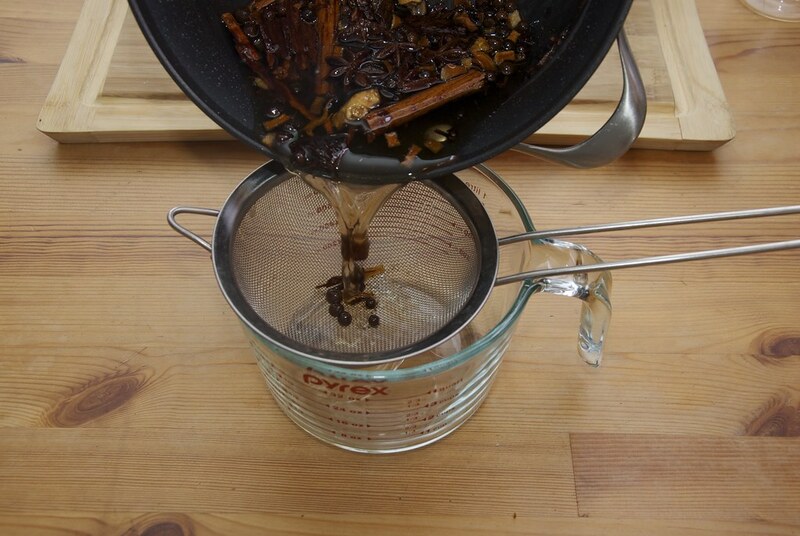 As you will see at the end of the post, this is a very versatile syrup. Make sure you use whole spices, not oly because they are superior in quality, but also easy to remove. In a pot add one-by-one the spices. Break and add the cinnamon sticks. Add the cassia. 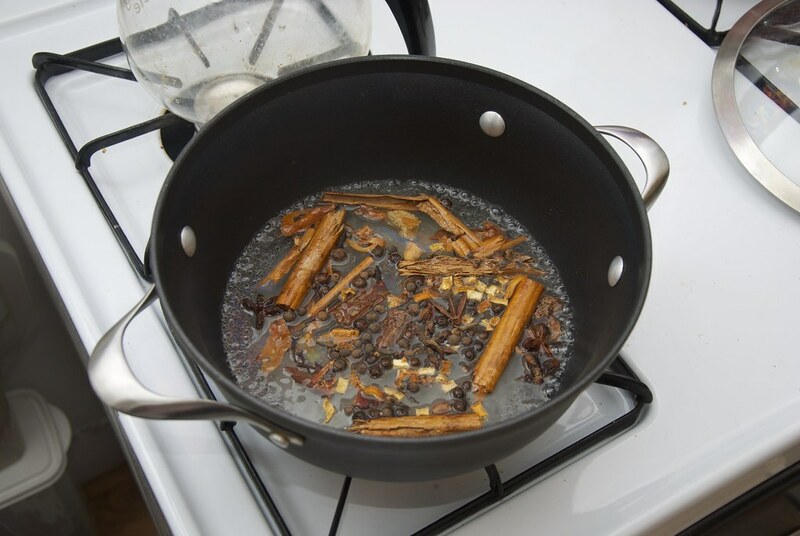 By the way if you don’t know the difference between cinnamomum ceylanicum (the real cinnamon) and cinnamomum cassia (what is in the market) read the very enlighten post here. Couple of star anise pods. The mace (or the nutmeg). And finally the dried ginger broken in pieces. 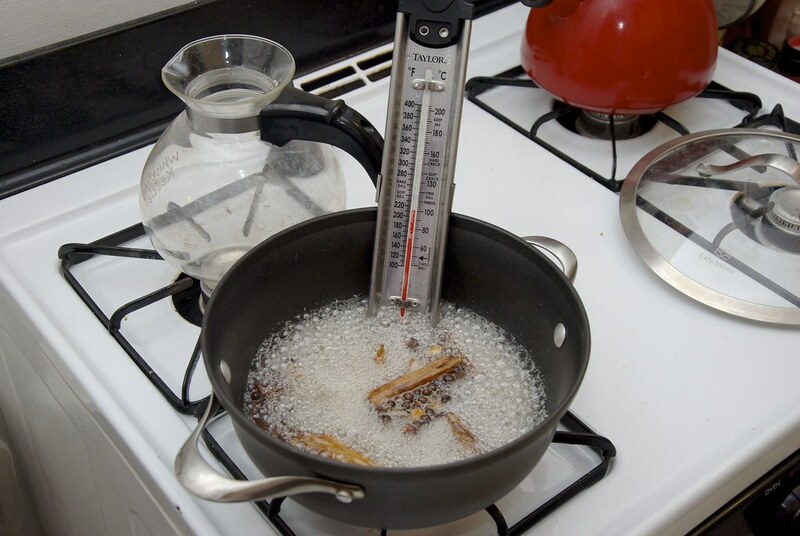 Add the sugar (250 g). And equal amount by weight water. 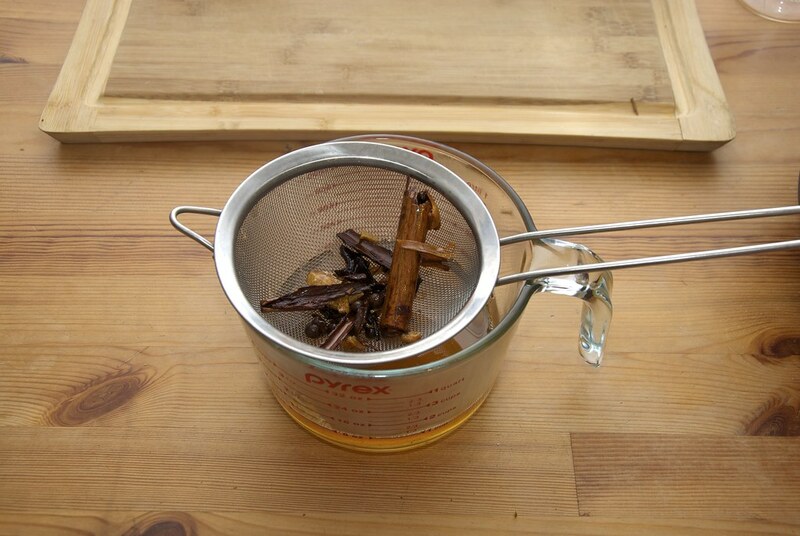 The details of the syrup making are outlined in the syrup post. Put it on medium heat and bring to a boil. 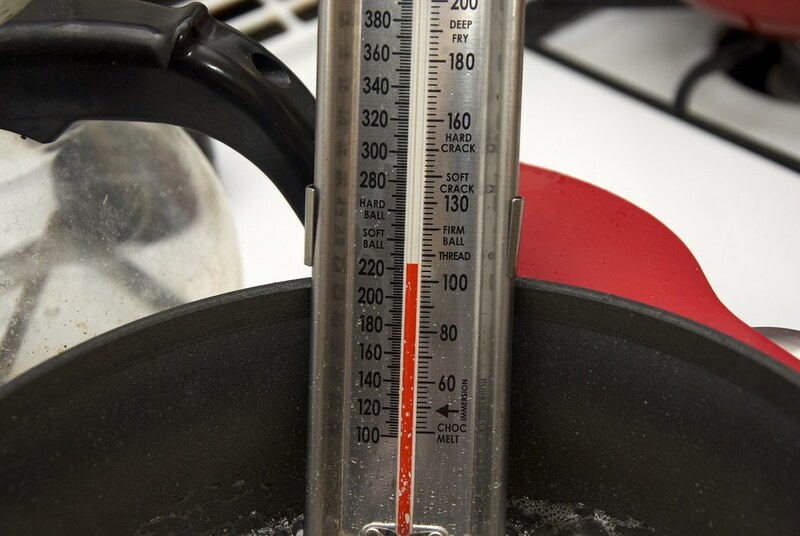 As I always recommend use a thermometer to make sure you get the temperature to go no more than 103 C or 217 F.
In this case as you can see, I went a bit over at 105 C. So add some cold water and repeat. Once done, turn the heat off and cover for 15 mins to let the spices steep in the hot syrup. 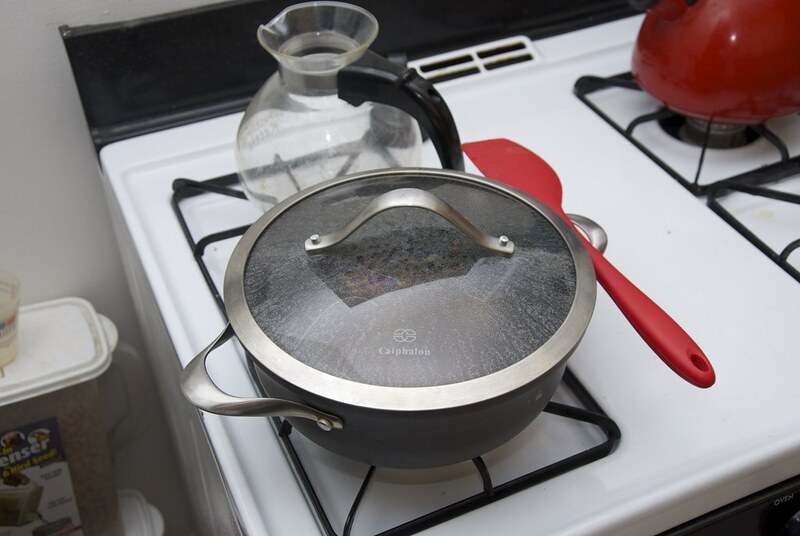 Strain the syrup with a fine best strainer. And let all the remaining syrup to drizzle. 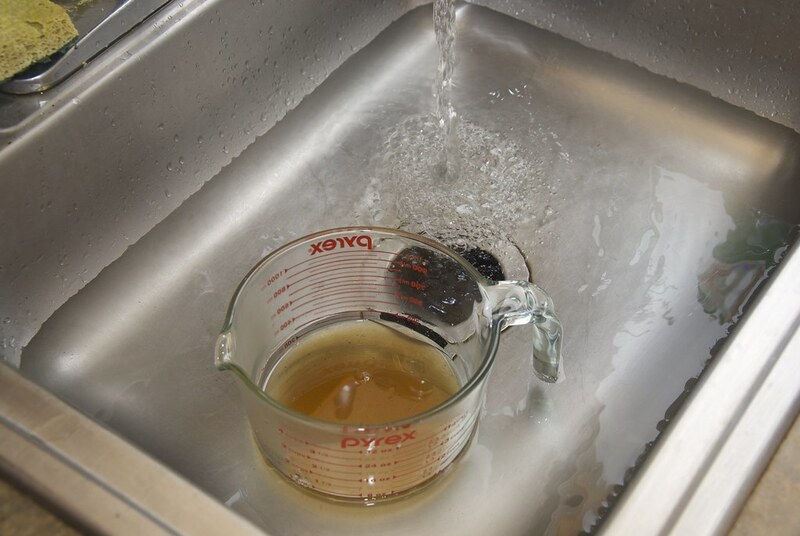 To cool it a little faster fill the sink with cold water. And stir the syrup fast to cool it off. Transfer in a squeeze bottle or in jar. While the syrup i cooling prepare the garnish. 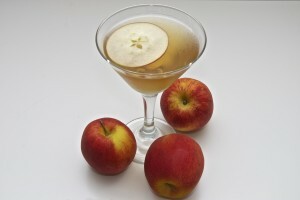 I like a honey crisp apple for that is juicy enough that the flavor can penetrate t cocktail. It does make a difference. Also it is pretty so I try to cut on the bias so you can see the star-shaped seed pods. 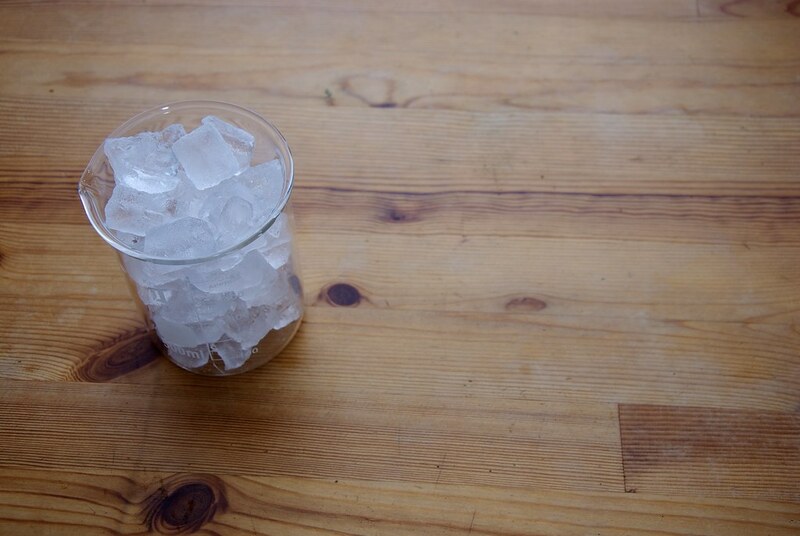 Since we only have liquor and syrup you can stir it in a cup with ice. Now if that cup looks like a beaker you get extra points. Measure 1 1/2 oz of Applejack. 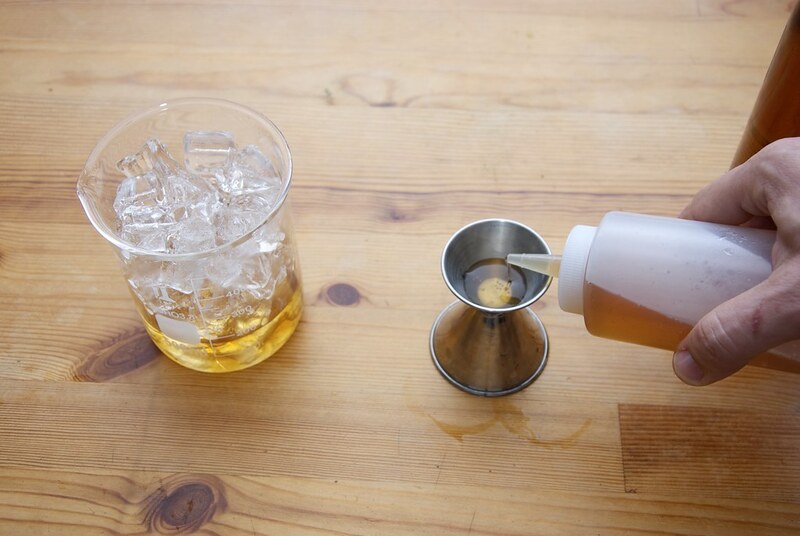 Measure 0.5 oz of t apple syrup. 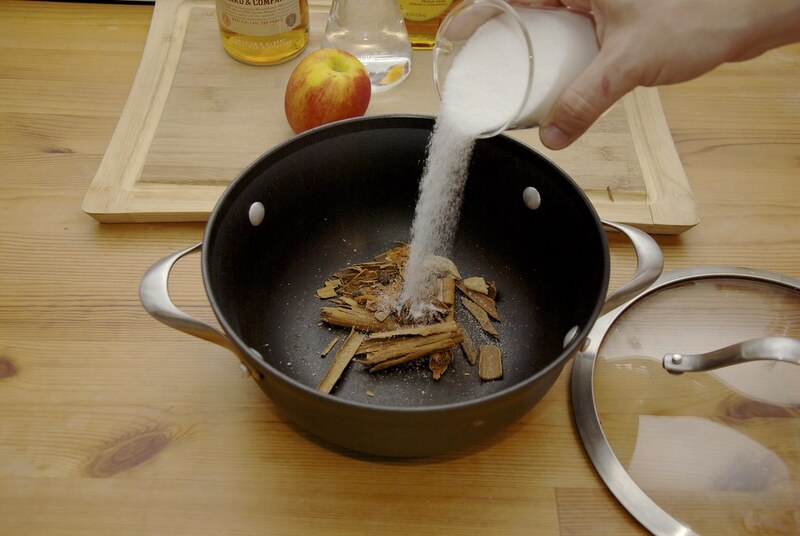 Finally to reduce the strength of the sweetness we add just 0.5 oz of neutral spirit like alcohol. 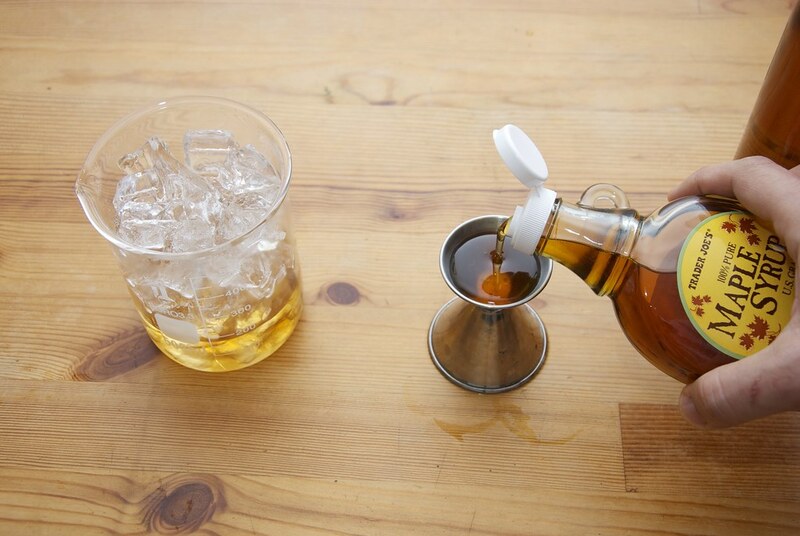 Stir for about 2 minutes to dissolve the syrup and chill the drink. 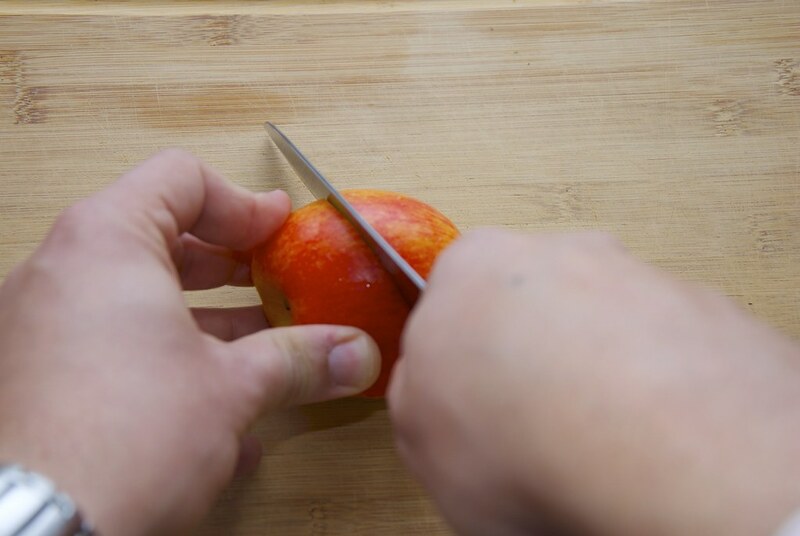 Add the slice of the apple. And slowly pour the cocktail over apple slice. A great cocktail that highlights the great fruit that is apple, pays respect to the colonial years and has the flavors of the beloved apple pie. 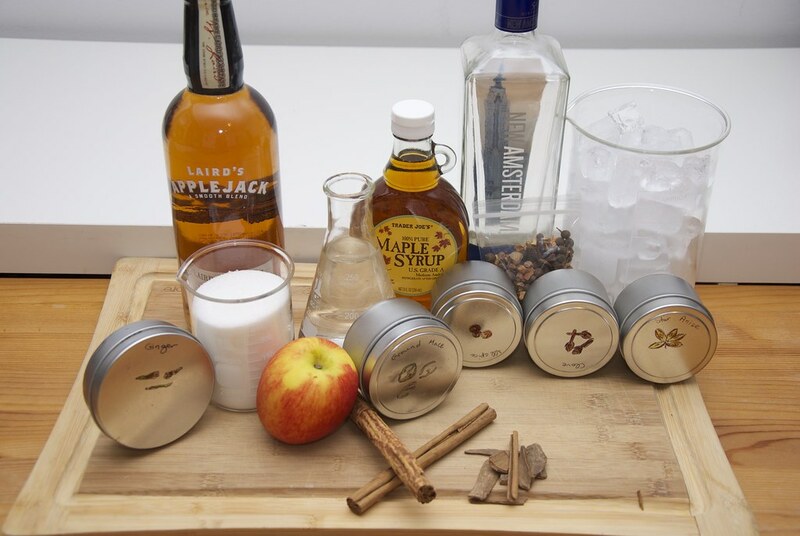 You can always make the cocktail with just the apple jack and the syrup leaving maple and the vodka out for more robust flavors. You can also make one more cocktail. 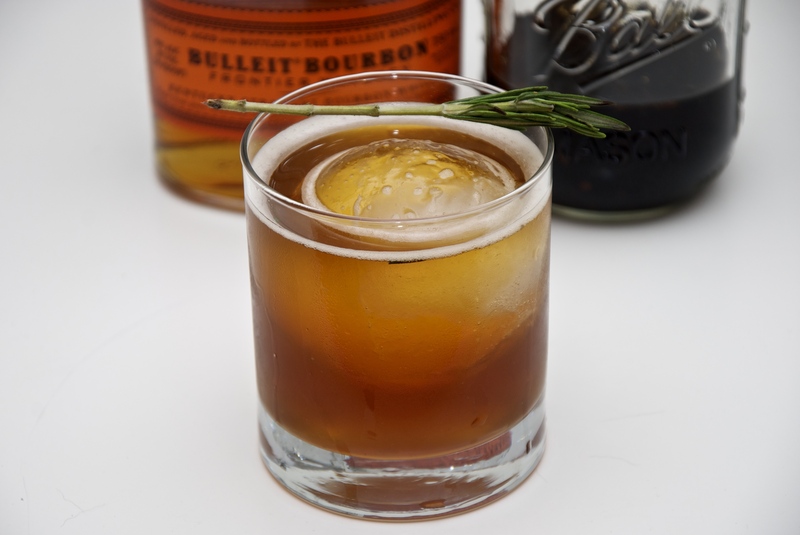 Mix the syrup and the bourbon in an old-fashioned glass to dissolve the syrup. 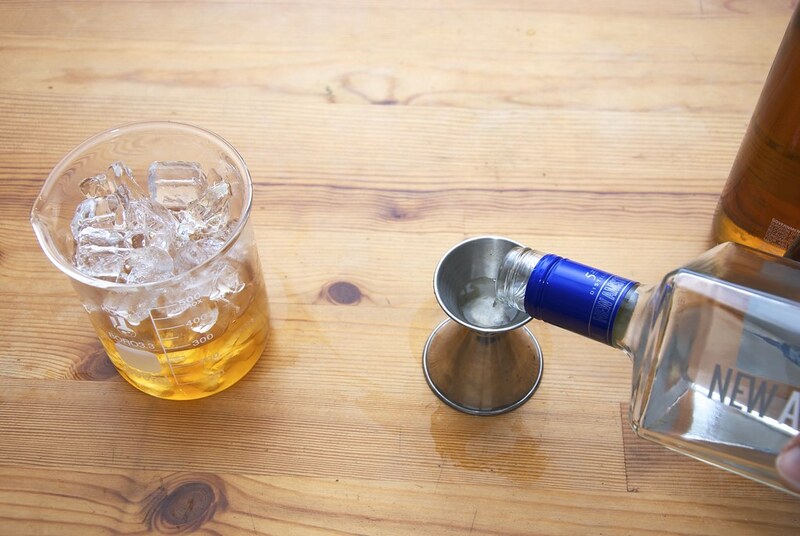 Add ice to the top and stir. Finally add two dashes of the bitters. A delightful cocktail, with excellent aroma of the cinnamon, clove and allspice paired with the unique flavor of the Applejack to mimic the great flavor of the all American apple pie. 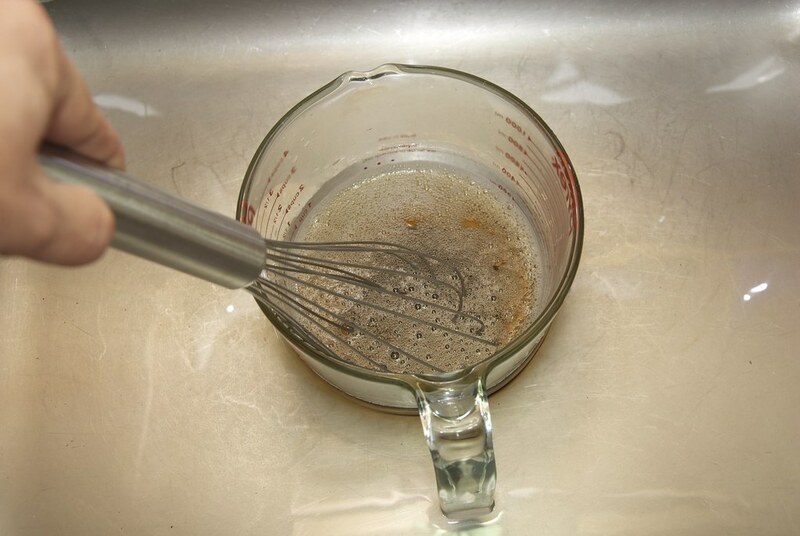 Add the syrup and the liquors in a mixing glass. 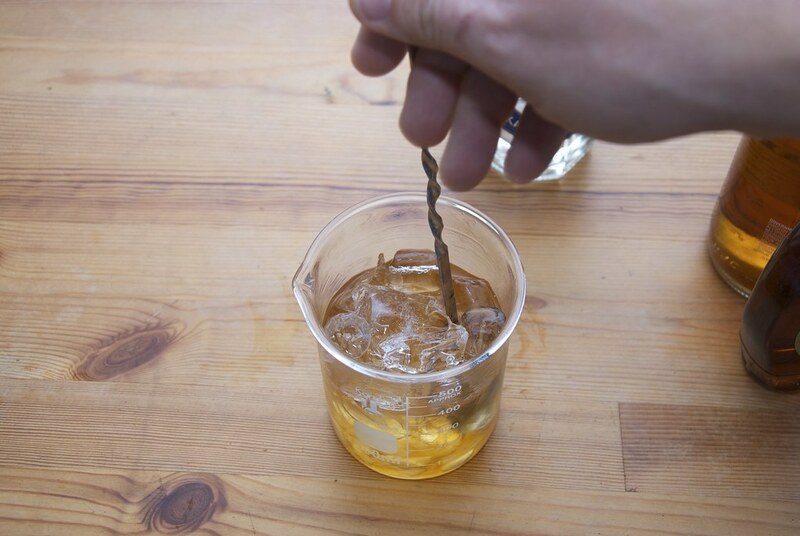 Mix the ingredients over over ice with a stirrer. 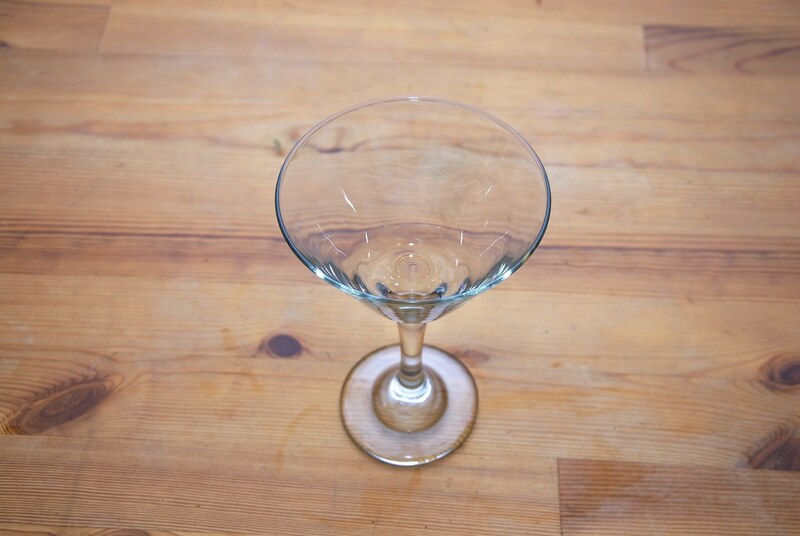 Strain and serve in the cocktail glass. 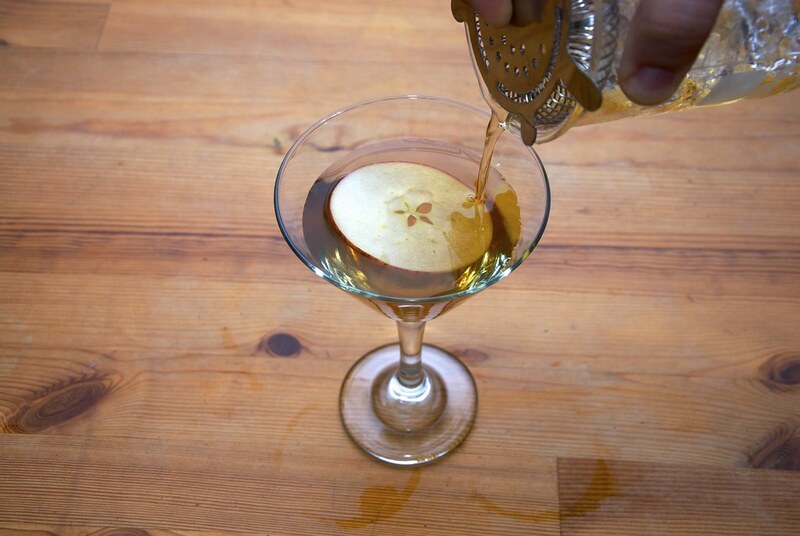 Garnish with the apple slice. 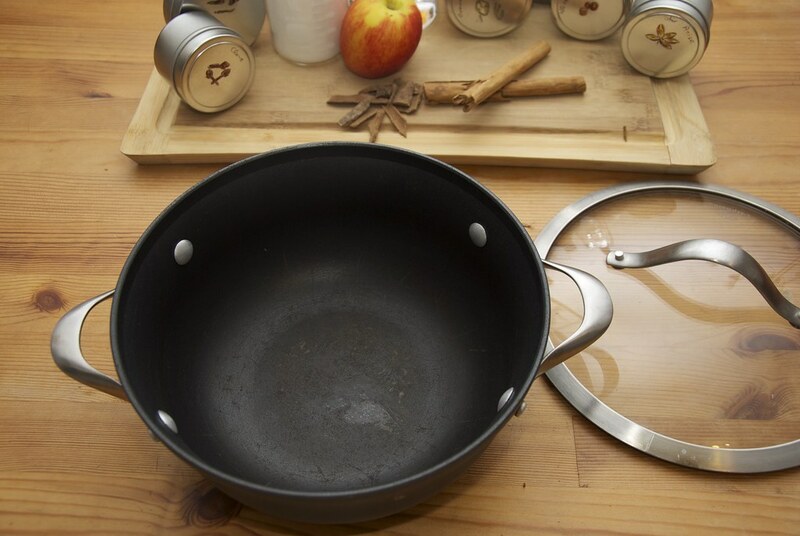 Mix the water sugar and the spices in a pot. Strain and store in a jar.